During decades this reef base for underwater observation and research has been fundamental in understanding reef dynamics and is unique in its capability to continuously house teams of scientists to research a variety of subjects related to Marine Biology, Oceanography and other fields of study. 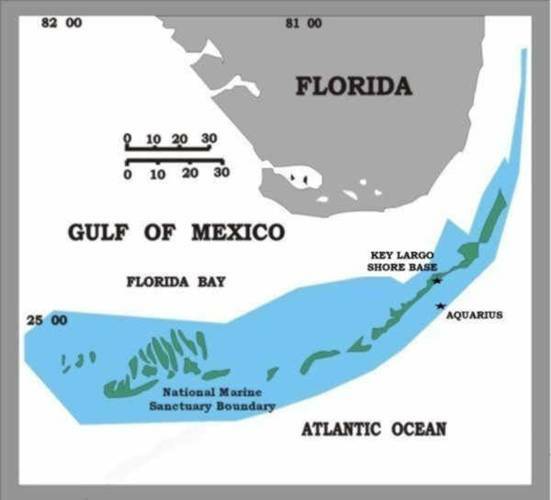 NOAA’s Aquarius Reef Base is an underwater habitat located in the Florida Keys National Marine Sanctuary, adjacent to Conch Reef. 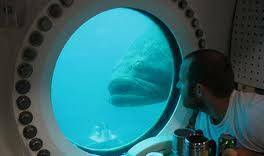 It is one of the few underwater research facilities in the world dedicated exclusively to scientific research. Aquarius is owned by the NOAA and operated by the University of North Carolina–Wilmington until 2013 when Florida International University (FIU) took over operations. 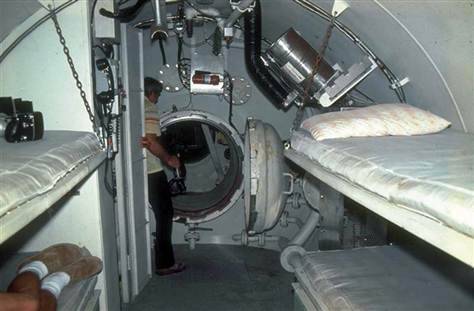 It was designed by Perry Submarine Builders of Florida and constructed by Victoria Machine Works in Victoria, Texas, back in 1986. Underwater operations were first planned for the Catalina Island, off Southern California, but were moved to the U.S. Virgin Islands. 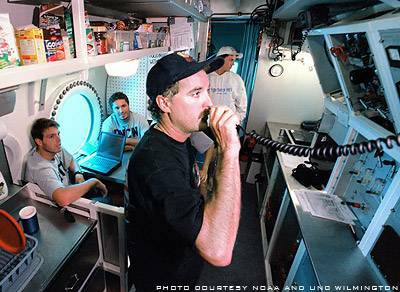 Following Hurricane Hugo in 1989, Aquarius was taken to NURC (NOAA Undersea Research Center) for repairs and refurbishment and re-deployed in the Florida Keys in 1992. 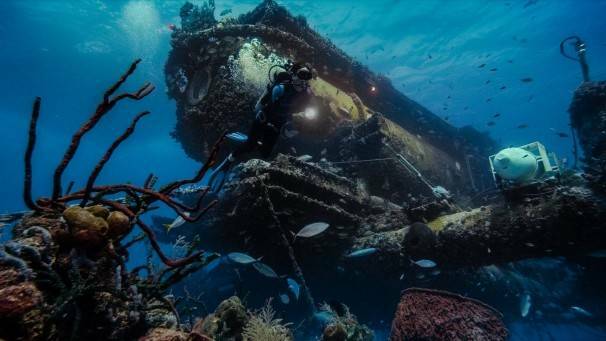 The Aquarius reef base is located at a depth of 20 meters (66 feet), at the base of the Conch Reef. It is positioned about 13 feet above the sandy bottom. 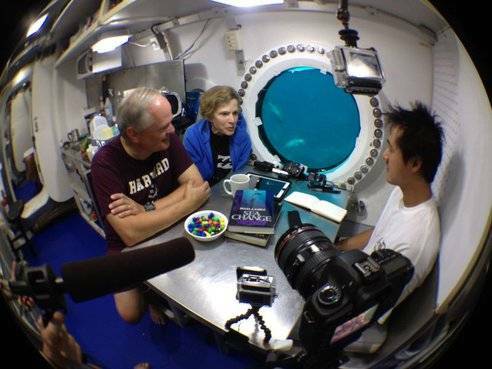 The working depth for researchers at the laboratory is about 50 feet deep. Located inside the 81–ton, 43 x 20 x 16.5–foot underwater laboratory are six bunks, a shower and toilet, instant hot water, a microwave, trash compactor, a refrigerator, air conditioning and computers linked back to shore by wireless telemetry. 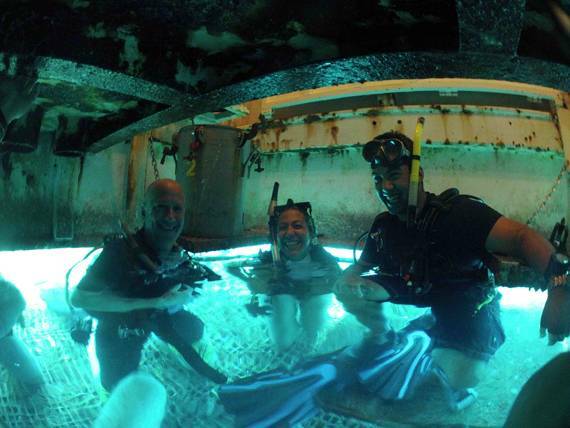 The underwater lab is mostly used by Marine Biologists as they study the coral reef and surrounding aquatic fauna and flora and the composition of the seawater among other things. 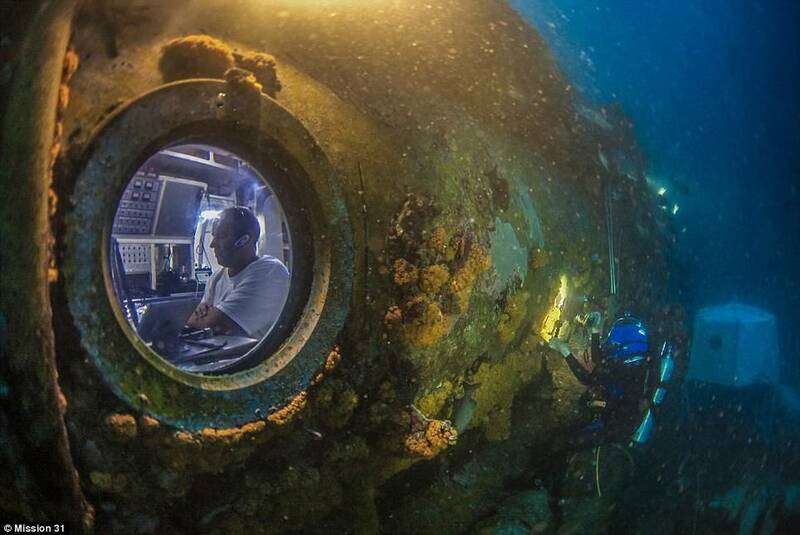 Aquarius houses sophisticated research equipment and powerful computers, allowing scientists to study and process samples without leaving their underwater facilities. 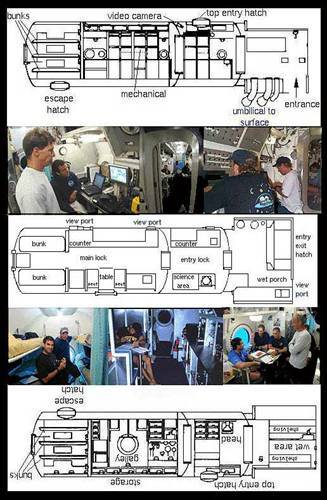 The habitat accommodates four scientists and two technicians for missions averaging 10 days. 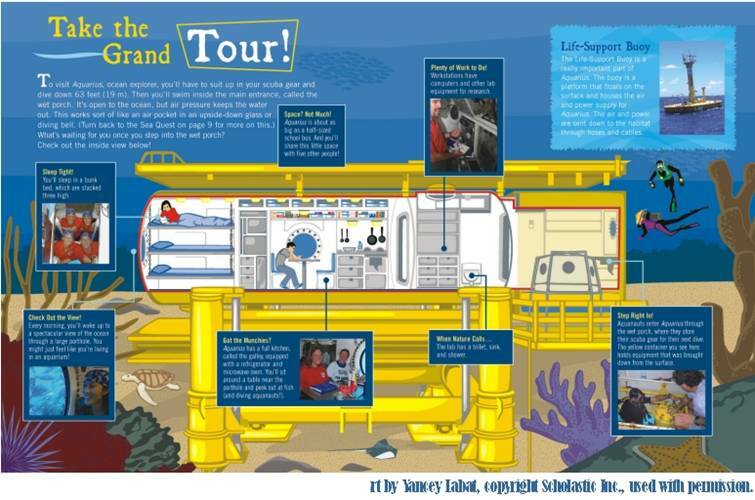 Because Aquarius’s design, it allows saturation diving, dives from the habitat can last for up to nine hours at a time. These long dive times allow for observation that would not otherwise be possible. 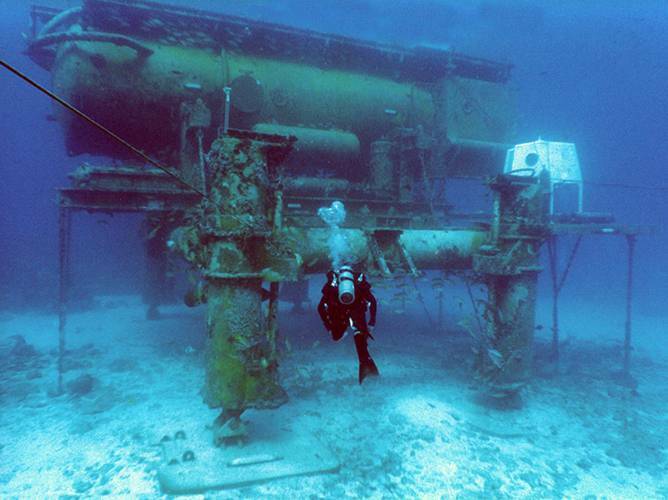 Way stations on the reef outside Aquarius allow aquanauts to refill their scuba tanks during dives. Aquarius consists of three compartments. 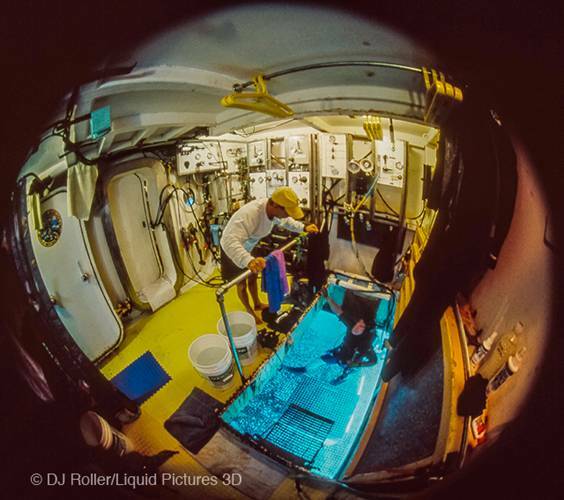 Access to the water is made via the 'wet porch', a chamber equipped with a moon pool, which keeps the air pressure inside the wet porch the same as the ambient pressure at that depth (about 2.6 atmospheres), through hydrostatic equilibrium. The main compartment is strengthened, to maintain normal atmospheric pressure, and can also be pressurized to ambient pressure, and is usually held at a pressure in between. The smallest compartment, the Entry Lock, is situated between the other two compartments and functions as an airlock in which personnel wait while pressure is adjusted to match either the wet porch or the main compartment. This design enables personnel to return to the surface without the need for a decompression chamber when they get there, this is due to the fact that the main compartment acts as an “in loco” decompression chamber. 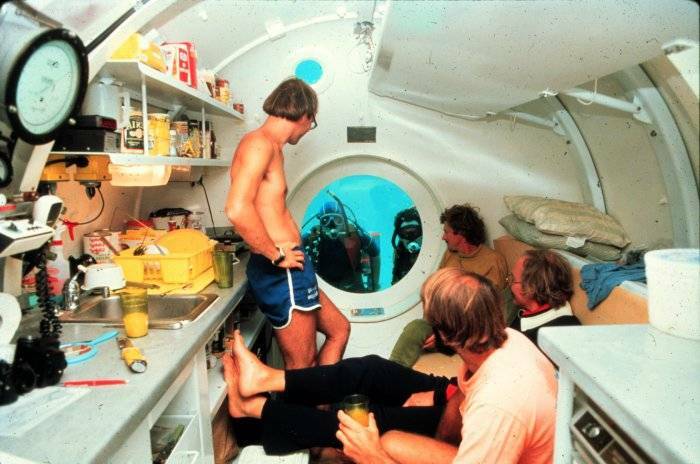 Personnel stay inside the main compartment for 17 hours before ascending as the pressure is slowly reduced, so that they do not suffer decompression sickness after the ascent. It would certainly be interesting to see an expanded version of Aquarius, with docks for AUVs, ROVs and sensor grids to cover larger areas, and something of this nature must be in the plans. 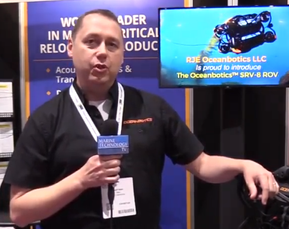 With today’s technology and with partnerships with subsea drone manufacturers this concept of an expanded underwater laboratory could become viable.